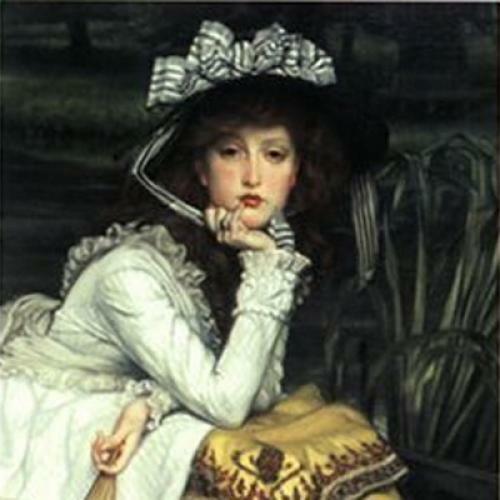 Emma Bovary is one of the most abused heroines of the modern novel. It’s not enough for her to lose her mind in love for an unworthy man; to squander her fortune and suffer the terror of mounting debt; and, finally, to die in a prolonged, painful suicide by arsenic. No, she must also be cruelly misunderstood by Kathryn Harrison in a weird piece in The New York Times Book Review that has generated a steady seething of online dissent. Harrison and the Book Review have been jointly taken to task for the piece’s failure adequately to assess the novel’s boutique new translation by Lydia Davis. But equally hard to understand is Harrison’s pitiless condemnation of its protagonist. But why would this god of literature waste his time on the character that Harrison describes? “Readers cannot like Emma Bovary,” she confidently tells us, “and yet they follow her with the kind of attention reserved for car wrecks…. How can a covetous, small-minded woman, incapable of love and (as she feels no true connection to anyone) terminally bored by her life, fascinate us as she succumbs to one venal impulse after the next? … Fatally self-absorbed, insensible to the suffering of others, Emma can’t see beyond the romantic stereotypes she serves, eternally looking for what she expects will be happiness…. Emma doesn’t have character flaws so much as she lacks character itself. She’s a vacuum, albeit a sensitive and sensual one, sucking up every ready-made conceit. Could it be that Davis’s noticeably cool new Bovary led Harrison to her strange conclusions? Davis has said that she felt no special affinity for the novel; rather, Viking approached her with the idea for a new translation. The author of minimalist short stories, Davis would seem an unlikely match for Flaubert, with his love of metaphor and obsession with detail. In comparison to previous versions, her Bovary is decidedly stripped down—to the extent that she occasionally dampens some of the novel’s humor and irony. Take one particularly wonderful line that shows just how dull-witted Emma’s husband is. In Davis’s version, it reads: “Charles’s conversation was as flat as a sidewalk, and everyone’s ideas walked along it in their ordinary clothes, without inspiring emotion, or laughter, or reverie.” As flat as a sidewalk … walked along it … ordinary clothes: the language is plain and uninspired. It’s even a bit plainer than the original: La conversation de Charles était plate comme un trottoir de rue, et les idées de tout le monde y défilaient dans leur costume ordinaire, sans exciter d’émotion, de rire ou de rêverie. In Flaubert’s sentence, the ideas do not simply “walk”; a better rendering for défilaient might be “paraded.” Davis’s version loses something by flattening out the ironic image of commonplace ideas flamboyantly on parade. He no longer spoke those sweet words to her that had once made her weep, nor did he offer her those fervent caresses that had once driven her wild; so that their great love, in which she lived immersed, seemed to be seeping away under her, like the waters of a river being absorbed into its own bed, and she could see the mud. Again like a fish in water, Emma lives steeped in her love, and the undulating motion of the sentence, which mimics the movement of the water “seeping away,” reinforces her terror at the ugliness of its dwindling (“she could see the mud”). … one had to discount, he thought, exaggerated speeches that concealed mediocre affections; as if the fullness of the soul did not sometimes overflow in the emptiest of metaphors, since none of us can ever express the exact measure of our needs, or our ideas, or our sorrows, and human speech is like a cracked kettle on which we beat out tunes for bears to dance to, when we long to move the stars to pity. Note the subtle shift in perspective in this sentence: from Rodolphe’s warning to the narrative’s immediate contradiction of it. Well familiar with the hazards of beautiful talk, Rodolphe no longer believes it can convey true emotion. But the novel itself takes the opportunity to remind us of the inadequacy of all human speech: “none of us can ever express the exact measure of our needs, or our ideas, or our sorrows….” The original is in the third person: “puisque personne, jamais, ne peut donner l’exacte mesure de ses besoins, ni de ses conceptions, ni de ses douleurs”—“since no one can ever give the exact measure of his needs.” By using the first person plural instead—“our needs … our sorrows”—Davis generalizes it to apply to all humanity, as Flaubert surely intended. This vision of the limits of language is particularly plaintive coming from a novelist known to sit at his desk for twelve hours at a stretch, mercilessly editing his work till it met his own exact specifications. As Flaubert famously said, “Madame Bovary, c’est moi”: If Emma’s metaphors are empty in comparison with the fullness of her soul, which of us could do better?